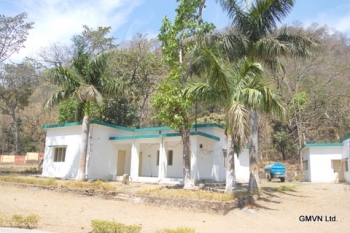 GMVN TRH in Kanvashram is a budget guest house in peaceful location of Kanvashram. Situated 14kms from Kotdwar, Kanvashram of Rishi Kanva is a popular excursion from Kotdwar. Kanwashram is associated with the famous play Abhijnana Shakuntalam. 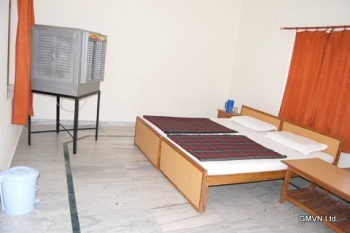 GMVN Tourist Rest House provides comfortable boarding and lodging facilities in Kanvashram at affordable price. Kanwashram is situated at an elevation of 380mts, near Kotdwar in Pauri Garhwal district of Uttarakhand state. It is situated only 14kms from Kotdwar. The GMVN Kanvashram Tourist Rest House offers 05 Economy rooms providing basic amenities such as clean bed, linen, attach bathroom etc. There is a vegetarian restaurant in the guest house serving delicious cuisines.